360 image of the site after diggers and clearance work begins. 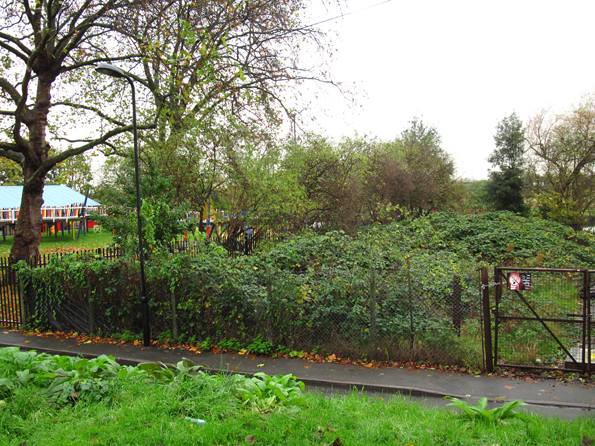 We can really start to see the potential of the site and plan for how to really use the space! A sunny day made all the difference to the hard work of clearing the gardens. 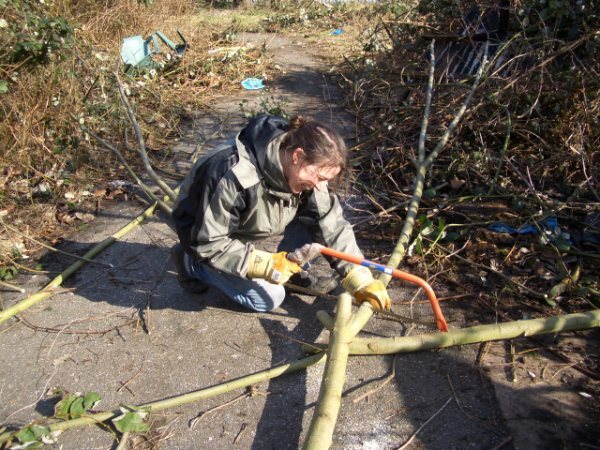 Clearance of the space gained momentum this month as RHUG members got to grips with clearing away debris and bramble and working out which plants and trees to keep safe. Our presence here before the diggers moved in was also important to warn away the foxes who are soon to be having cubs. The clearance day really got things moving and we could all start to see the potential of the space. Getting stuck in . . . 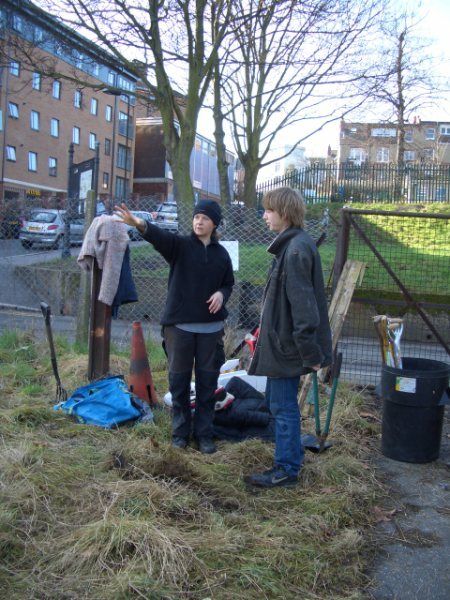 The Robin Hood Community Gardens – Riches for All! The old One O’clock club space by the river at Springfield in Upper Clapton is about to be brought back to life. We, the local residents have worked hard to convince the local authorities that this space needs to be restored as a local resource, a place of beauty and enjoyment for us and our children. 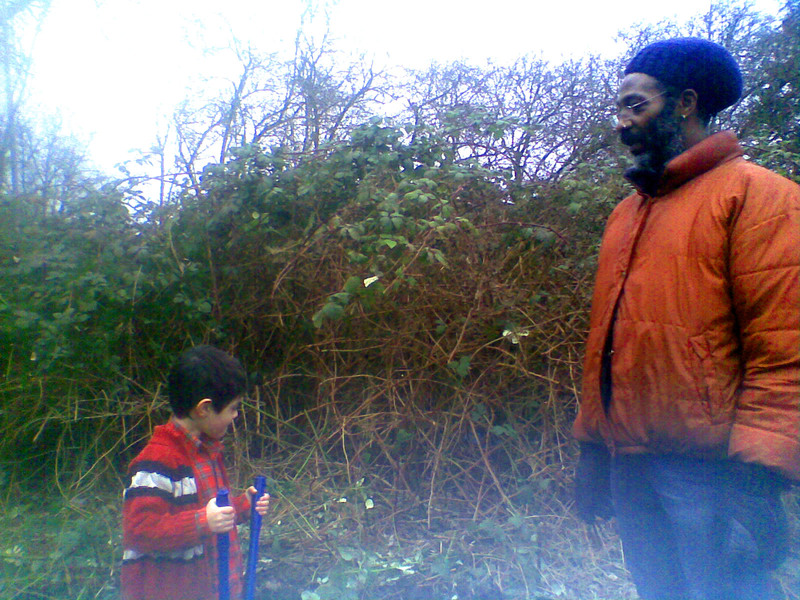 In fact we and our children have already worked hard on the clearing of the brambles and rubbish. Over the weekend diggers have moved in and removed most of the overgrown vegetation and it is really possible to see the potential of this beautiful, neglected space by the river. Working hard before biscuit break! 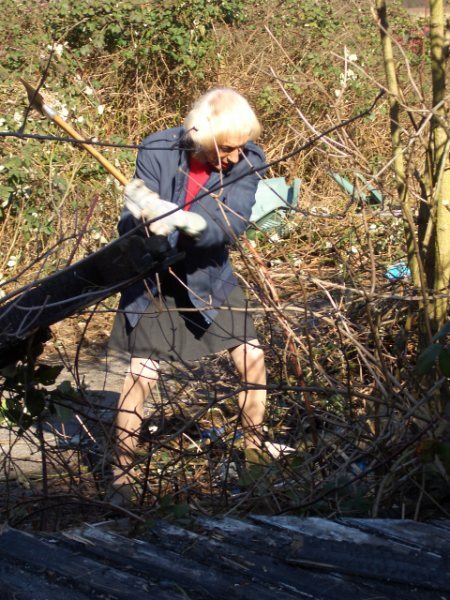 Tackling the overgrown undergrowth. . .
We aim to create a welcoming place/open space that provides the local community with a resource offering opportunities for healthy physical exercise, learning, recreation, relaxation and reflection. 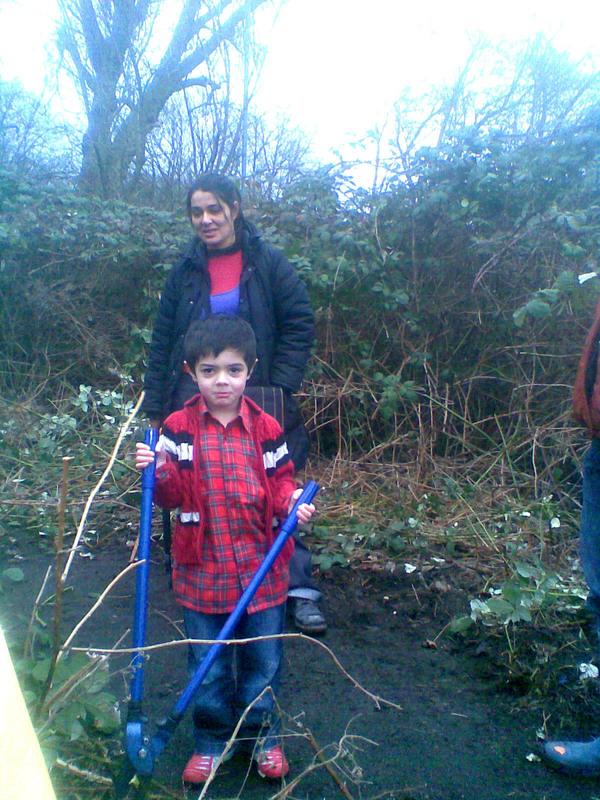 We will create an orchard, a green space for everyone to enjoy, workshops on growing and harvesting, cooking meals together and general skill sharing so that we can all contribute to and enjoy this unique and beautiful riverside community garden. Named after a famous local pub on Big Hill, the gardens takes its name from the old Robin Hood Tavern. The pub sign was found in the bushes some years ago and was kept by Parks gardener Glyn to be used for something such as this in the future. Robin Hood is a great symbol of hope in this time of recession. . . The riches in this case will be for everyone to enjoy!